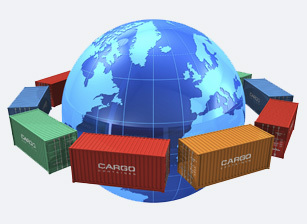 Through our network of agents, Robinsons can arrange for shipment of your goods to most countries. 98% of clients recommend Robinsons. To see what they say click the Referenceline. We can offer full household removals or just single items. Various methods are employed to provide the most economic method of transport from FCL ('full container load' - which make use of 20' or 40' steel containers for your sole use,) to a groupage service (sharing a container with other others, thereby sharing the cost of the container). In the majority of cases, we can offer a full door-to-door service although we can also quote to arrival port only if required. This may save on transport and delivery charges. However, in rare cases we may only be able to offer a limited service to delivered port anyway. 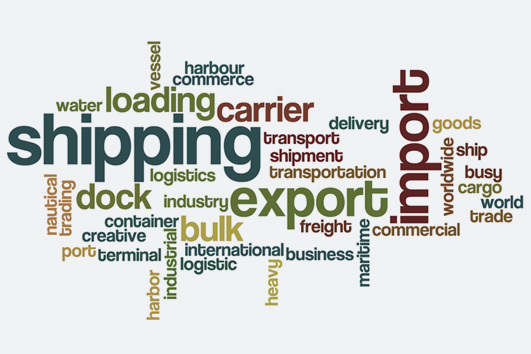 All our quotes would normally include customs clearance and port handling charges. However, you should be aware that there are some charges we cannot include and can only be payable to the authorities in the country you are moving to. For example quarantine or customs inspections, duty etc. For a door-to-door service, our quote would normally include complete unpacking, setting out, and the removal of all packing materials. As with all removals, the process starts with a visit from our representative to assess the volume to be shipped and your specific requirements. In particular we will note any items that require special care. The further you are moving the more preparation is required and the more in advance you should start planning. Transit times can vary greatly, depending on what part of the world you are moving to and whether you are using a groupage or FCL service. In general shipment times are anything from 1 to 3 months. All furniture items are export wrapped using the latest materials available. These include multi-layered paper blankets, cardboard and export bubble blanket. For high value and/or fragile items, specialist custom made wood cases can also be used. For small items, e.g. china, glass, toys, sundries, clothing etc. we use strong cardboard cartons, wrapping fragile items with clean packing paper. Each item whether FCL or groupage, is numbered and marked with your name and destination. A full inventory is then prepared which accompanies the goods on their journey to your new destination. Robinsons can also assist with advice on additional documents that are required for shipment. Some countries (e.g. USA) can require quite stringent procedures, whilst others are more relaxed. We can also advise on restricted goods. For example some countries are very stringent on the types of wood that are imported, whether it be custom made crates or personal items. For clients who require their goods as a matter of urgency we can also arrange an Air Freight transfer, although generally transit by ship is usually far cheaper as Air Fright is not only costed by volume, but by weight too. 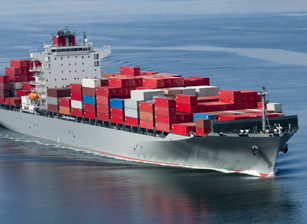 Generally Deep Sea shipping is only costed by volume unless any items are particularly heavy. There are some outside influences that we cannot control, therefore we strongly recommend that you consider taking out insurance to cover these and other eventualities. The policy that we offer is very comprehensive and full details accompany every quote. For any enquiries please telephone our office for advice and assistance.